The Lord has brought many great blessings & beautiful things to this world. Thank Him for your own little personal blessings with this comfortable Personalized Christian Sweatshirt featuring all of your precious little one's. 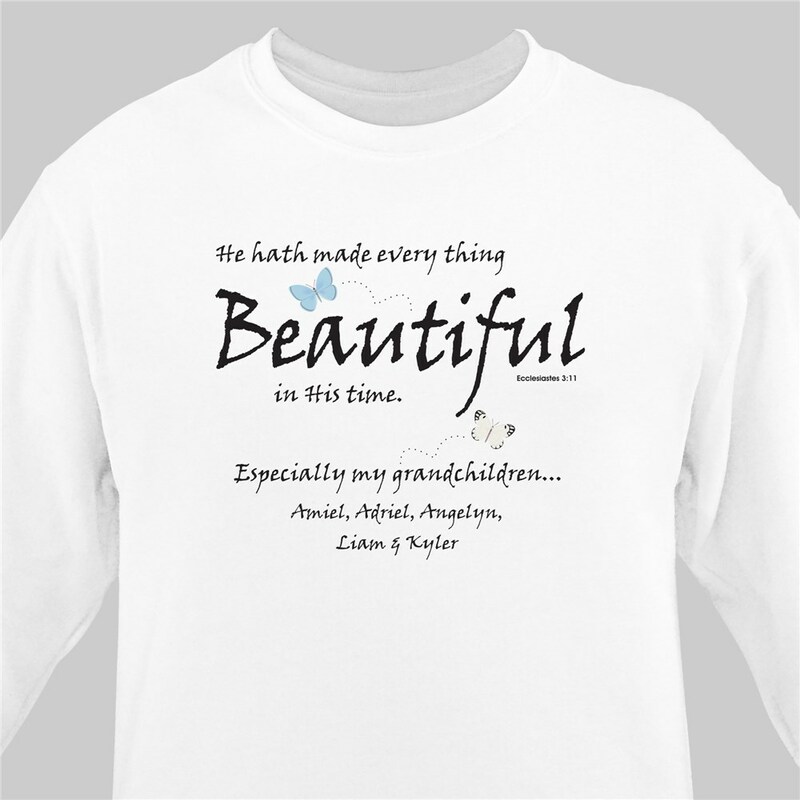 Our Personalized Made Everything Beautiful Sweatshirt is available on our premium white cotton/poly blend Sweatshirt, machine washable in adult sizes S-3XL. Includes FREE Personalization! Personalized with any title and up to 30 names. Loved it! "Almost" can't wait for winter so I can wear it!